The Northwest Arkansas real estate market is still one of low inventory. What does this mean? This means that when a property comes on the market at a reasonable price there is a frenzy of bidding activity, i.e. multiple offers. So how does a buyer react in this kind of situation? Many would-be buyers have become so jaded after having been out there looking for a home for a while and being faced with this scenario numerous times. They may have been involved in actually making offers and being rejected outright or moved further forward only to find that they were outbid. It can be soul destroying to keep going through this but don’t give up. Determine the absolute maximum you are willing to pay. This is going to be your starting point. There is nothing else like it in the neighborhood. The open house was crowded with buyers. You fell in love with it. Because if you love it you know others will also. You will offer accordingly. At the minimum, it will be full price and probably a little above asking with the first point above in mind. You still need some wiggle room. If you come in at the top of your budget you are already at a disadvantage. Waive the request for a home warranty. Offer a short physical inspection period. If you have a feel for the seller’s need re length of escrow, accommodate that need. Show your best side. The listing agent is going to be watching how you and your agent react throughout the negotiations. Hopefully, some of the actions above will either win you the offer or put you in the group which receives a counter offer from the seller. The counter will be written on a single counter form, which means you are the only buyer receiving the counter, or a multiple counter form, which means they are countering others also. You have a little more leeway if you are the only buyer being countered, but in a multiple counter situation, you need to come back again with your best offer and terms, because you are basically back at square one. The counter may state a specific price they are requesting or may ask for your “best and final” price. They may ask for certain terms to be removed or changed. The terms may be easy to accommodate, but what do you do about the price? If the counter names a specific price you should treat this as you did the original list price. Other buyers being countered certainly will, and they will know that someone is probably going to offer more. This is where you will be glad you left yourself some room to offer more. How much more, that’s the trick. But do your best. If the counter states “best and final” this is a little more difficult since you have no idea where other offers may already be. But again, you can only do your best. Here you may think of a way to make your offer more attractive. Maybe put in a higher down payment, or remove a request you previously had. Don’t be scared off by those dreaded all-cash offers. Bottom line it is going to come down to price, terms, and to how you are perceived by the listing agent. 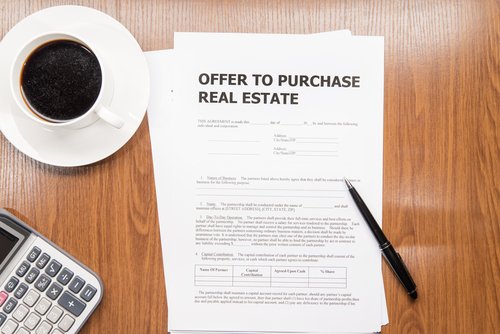 Are you and your agent going to be easy to deal with throughout the escrow process?